Kathin Offerings Festival is a traditional Buddhist festival celebrated in most part of Northeast Thailand and neighboring countries. In November 2015, ASEAN Potash Chaiyaphum Public Company Limited’s representatives together with delegations from government authority and local people has made merit in the occasion of Annual Kathin Festival. 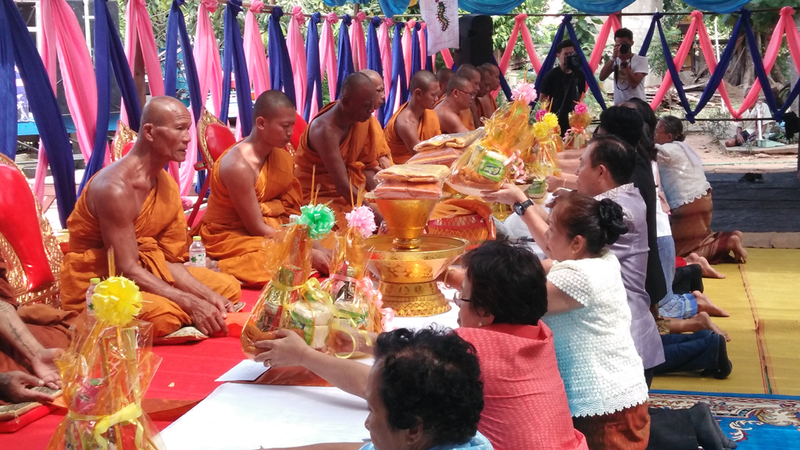 The Kathin offerings were done at Chaiyaphum province in Hun Thale and Bantan sub-district (Nongpradoo temple and Bang-amphan temple), Banpetch sub-district (Koksawang temple) and Bamnet Narong sub-district (Nong-elor temple and Gudcan temple).